A unique music party event exploring REMIX culture. It’s our way of making the classic popular music you know fresh again. From Hip-Hop to Pop, we’re fusing it’s backbeats with different genres to give you a sense of familiarity along with a fresh twist. 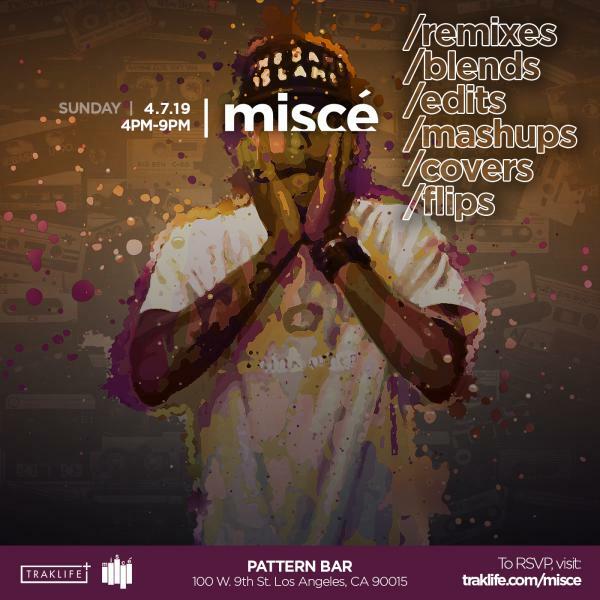 Come to Pattern Bar in Downtown LA on 4/7 from 4pm-9pm to experience a new vibe in LA! Music provided by Traklife DJs & Special Guests.